Milwaukee Health Department’s Office of Violence Prevention engaged Prevention Institute over the past year to help facilitate the development of the Blueprint grounded in PI’s Adverse Community Experiences and Resilience (ACE|R) framework. The Blueprint for Peace draws on community assets and best practices to focus on preventing violence before it occurs, as well as intervention efforts to ameliorate the impacts of violence and prevent future perpetration and victimization. The blueprint is the result of collective focus, tenacity, and commitment to establish a vision for building a safer and more resilient city. Over 1,500 individuals participated in the planning process, including residents and representatives of multiple sectors, and the Office of Violence Prevention calls for continued collaborative action moving forward. “This has truly been an all-hands-on-deck effort that centers the voices of people who have been directly impacted by the issue,” Moore emphasized. Milwaukee is part of a growing movement of cities learning from their peers and applying a public-health approach to prevent violence, such as New Orleans, Hillsborough County, and Minneapolis. 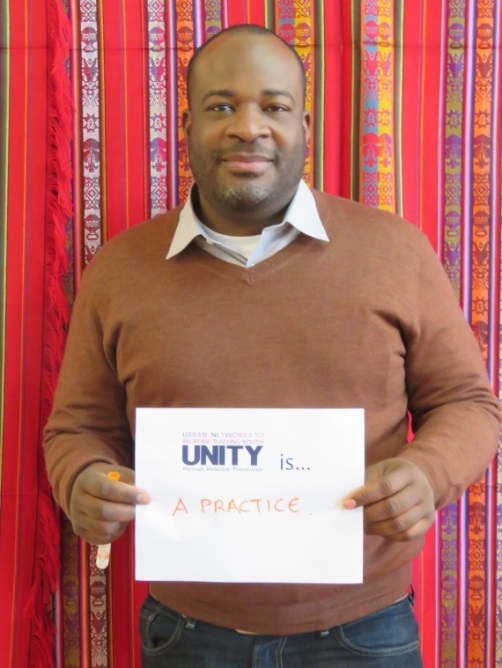 We are proud to be working with communities across the country through UNITY, a Prevention Institute initiative that has supported practice and innovation to build community safety in cities through comprehensive, multi-sector strategies since 2005. This year, PI has had the privilege to engage in violence prevention strategic planning in Santa Clara County, California; Kansas City, Missouri; New Orleans, Louisiana; and Los Angeles, California. Funding for Milwaukee’s planning process was provided by a generous grant from the Advancing a Healthier Wisconsin Endowment at the Medical College of Wisconsin, and partial funding from the Tides Foundation and the Federal ReCAST Milwaukee grant. Read Milwaukee’s Blueprint for Peace. To learn more about the process, see the planning launch update from November 2016 and the planning process update from March 2017. New PI briefs and videos explore the linkages between safety and child development, making the case for preventing violence and community trauma. These are part of Cradle to Community, a joint project between PI and the Center of the Study of Social Policy that laid the foundation for critical work at the intersection of healthy child development and community safety.